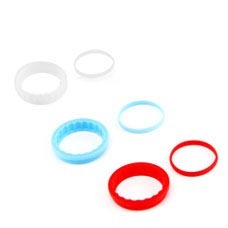 The silicone ring is specially added for ease of unscrewing the atomizer base from the MELO 2 atomizer and for protecting the glass tube from unintentional drop. It comes with two colors: black and white. 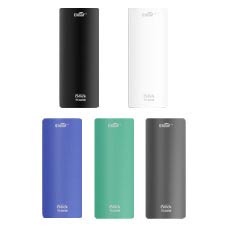 For better beautifying the MELO 2 atomizer and respectively matching with EC/EC TC-Ni/EC TC-Ti head, Eleaf prepare you with three pairs of sealing rings of different colors: white, blue and red. 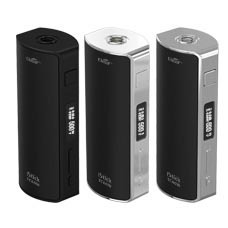 Being replaceable and colorful, the front and back magnetic covers are designed for ease of switching your 18650 cell and changing the covers into a different color. There are six attractive colors for you to choose from: black, white, teal, blue and grey.